The latest, much longer trailer for David Fincher’s adaptation of Gone Girl dropped online, giving us a clearer picture of the guilt, manipulation and dread the director intends to bring to author Gillian Flynn’s material. Give it a watch above, but know that it gives away a decent amount of the story, if you haven’t yet read the book. 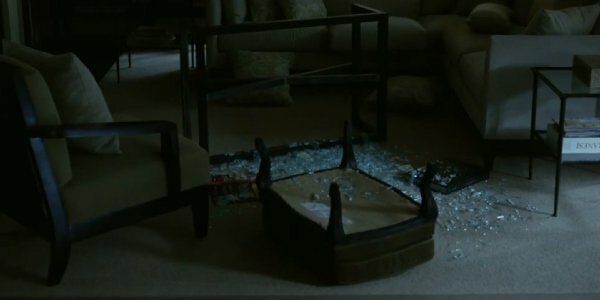 The initial teaser for David Fincher’s Gone Girl established the very basic premise of the book (and movie), which could be surmised from the title. Amy Dunne (Rosamund Pike) goes missing, and her husband, Nick Dunne (Ben Affleck), is the prime suspect. The longer look at the October release has several more moving parts, and it’s exciting to see how Fincher and screenwriter Gillian Flynn – adapting her own book – are bringing them together. And there is something inherently disturbing about seeing the disheveled living room for the first time. Have you scanned the Gone Girl Web site? It’s unnerving! 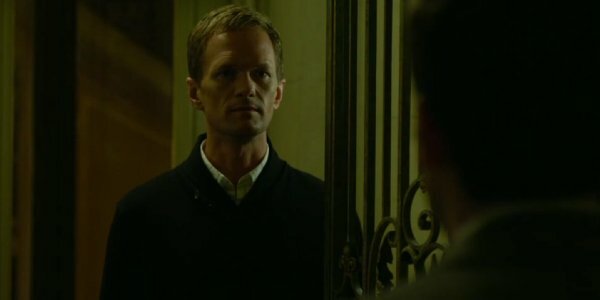 The trailer also places a special emphasis on Neil Patrick Harris, who plays Desi Collings in the movie. No, you won’t hear it from me here why Desi is an important cog in the Gone Girl wheel, but its great to see him getting face time in the longer Gone Girl trailer. More than anything, Gone Girl looks more and more like a David Fincher drama. The director gravitates to moody police procedurals like Zodiac, The Girl With the Dragon Tattoo, and Se7en, and he has crafted a distinct visual style that is cool and detached and PERFECT for Gone Girl. Ben Affleck looks like he has burrowed to the dark heart of Nick Dunne (a complicated figure to personify). And it sounds like Fincher will use voice-over narration to convey Amy’s writings… a crucial component of the book. Gone Girl will be in theaters on Oct. 3. Did you see these "Evidence" photos, in the meantime? Super creepy, and cool as hell.